Michelle is a Toronto Personal Injury Lawyer that has dedicated her entire legal career to representing injured people and their family members. The focus of Michelle’s practice is serious personal injury litigation including motorcycle accidents, car accidents, accident benefits disputes, slip and falls, disability insurance claims, gym negligence, dog attacks, school board negligence, and litigation over defective products. Additionally, Michelle is a past Chair of the New Lawyers Division for the Ontario Trial Lawyers Association and has been a co-chair and lectured at conferences held by the Ontario Trial Lawyers Association (OTLA) and the Canadian Society of Medical Evaluators. She has also written for the OTLA’s Litigator magazine. Michelle has represented her clients in many levels of Court including the Ontario Superior Court of Justice. She has also represented her clients before the Financial Services Commission of Ontario and Canada Pension Plan Tribunal. Michelle applies a very hands on approach to her practice. She is dedicated to providing excellent service and results to her clients. 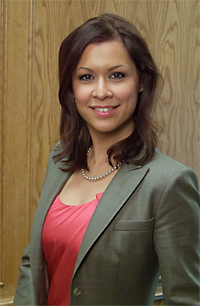 Michelle is diligent in ensuring that her clients’ claims are advanced in a manner that achieves maximum results. She has a proven track record of being a very effective and experienced advocate, obtaining favorable court rulings and settlements for her clients. At the Top Toronto Personal Injury Law Firm of Jewell, Radimisis, Jorge LL.P., our staff can accommodate any language that you speak. Michelle is fluent in English, Portuguese and Spanish. A Top Toronto Personal Injury Lawyer. Contact Us Anytime!